Hey Guys, It’s Kallie and I just stopped by to chit-chat with you about footwear. The beautiful season of fall is in full swing and I couldn’t be more excited to break out my boots, boot socks, jeans, and over sized sweaters! As we know, being a girl is difficult, you have to keep up with the latest trends and you’re always digging for the perfect accessories to meet those trends. Recently, I had the pleasure of putting my feet into some downright awesome fall footwear and now I am scooting around in Seven Dials, stepping each day further into the season in style with a side of fashion served up in heels and buckles. This is how I lavishly live life fashion out loud with my Seven Dials Scooter Bootie. Fall is one of my absolute favorite seasons, the leaf colors are to die for, the fashion is comfy and trendy and the footwear is my favorite part of it all. Seven Dials Scooter Bootie in brown has been my go-to shoe, lately. Going from a high school where I wore nothing but a uniform and boat shoes daily to college, where you can express yourself by means of clothing and accessories, was really difficult for me. Suddenly I could wear whatever I wanted, whenever I wanted, while still being expected to upkeep the “trend”. As fall swung around I knew I needed a new pair of boots that would match with anything, be comfortable, and also be super stylish, but slightly daring too. I went on the hunt for the perfect fall boot…and Seven Dials was the winner! 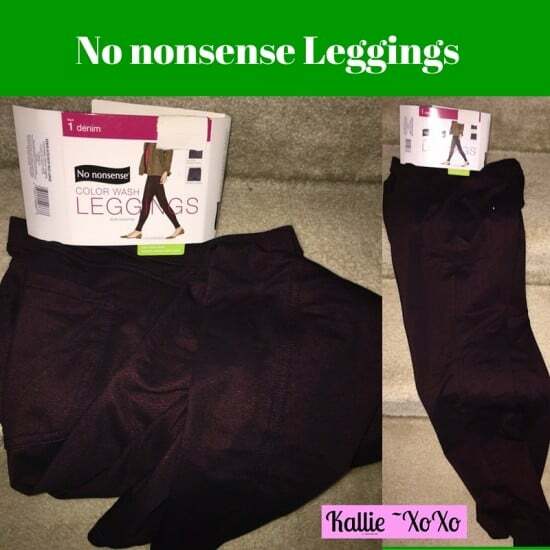 Want to know about my good lookin’ Leggings? These little numbers just go on with ease, not buttons, no closures and all comfort. They tuck into the boot because they close on at the ankle. These are by far the easiest, most fun pants of the season! I love color spike for the season, not overdone, just enough to give you a lift! This is the Scooter Bootie from Seven Dials. The Scooter bootie is one of my favorites and it helps that its under their brand new “Fall Collection” tab! There are tons of different colors, shapes, sizes, and styles to choose from which is what made narrowing it down to the Scooter Bootie so difficult! Each fall collection shoe showcases a different fall style and color. They have everything from clogs, to sandals, to booties, and boots all representing colors that work so well against the beautiful fall leaves on the ground. The Scooter bootie is one of my favorites from the collection because its so versatile. Another stunning part of this bootie is it’s chunky heel which gives it flare and edge. At first, I was skeptical they were going to be uncomfortable due to the heel length and width, but, after wearing them for 4 days straight, I can assure you that this is not the case. 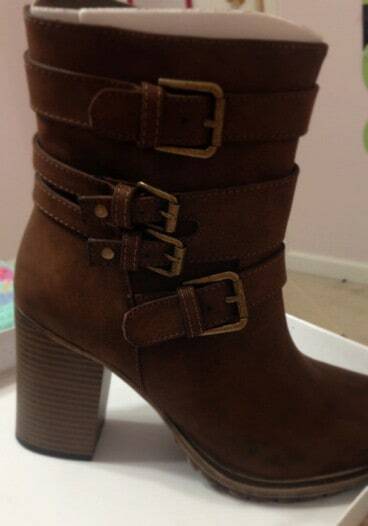 Because the boot is such a beautiful shade of brown, its easy to find neutral colors that match them! The boot is comfortable enough for an all-day wear and easy to walk in ( I was afraid I was going to face plant). The heel is 3&1/2 inches tall and the shoe itself is also available in black. I had a ton of fun wearing these around over the weekend and the compliments were rolling in! Want to know what Boot Sock was inside of my bootie? 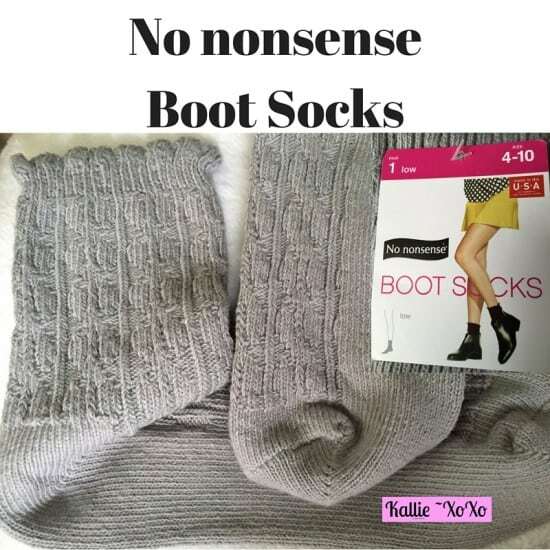 No nonsense because I was not dealing with socks that fall down, sag at the ankles or loose their elastic, and these low boot socks kept their place, stayed under the top of the boot(no one knew I had them on!) and of course were neutral in color. Comfortable, affordable and totally made for me on cool college days, No nonsense got these all right!